Mulch mowing – on a large scaleThe first lawn mowers didn’t actually have bags to collect the grass, they naturally redistributed the cuttings over the lawn. Today however, most of us have the choice of bagging our clippings, but let me suggest why that might not be the best idea. The term ‘mulching mower’ is actually pretty confusing – because there is not really any mulching hat happens. Mulching is when you put stuff, usually compost or manure, ontop of the soil to prevent weeds and retain moisture. This is fantastic for the soil, helping earthworms and creating fertile land for the next round of crops, but this would not be good for lawns! 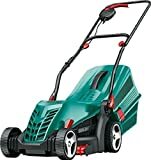 What mulching mowers do is rotate the grass around the blades several times, meaning that what finally drops on your lawn is a fine powdery nutrient rich substance – with around 10 percent nitrogen that your lawn will love. Experts, like myself! Suggest that by returning these perfect nitrogen-level clippings to your lawn, you can greatly reduce the amount of food the lawn needs, and help keep it healthy. If you do it right, then mulching will nourish your lawn without the need to buy dodgy chemical fertiliser, and spend extra time labouring to spread it round the garden. Think about it, usually most people who bag up thier clippings end up putting them into compost bin, or whacking the whole bag in the green bin so the council cna put it in their big compost bin. But by mulching, you take advantage of the organic nutrients to help your own lawn be more healthy. Not only does mulching make your lawn healthier, and greener, but will also reduce the time you have to spend mowing. Think of all the time taken up by endlessly trawling back and forth from the mower, emptying the bag into the bin, hitching it back on to the mower, and then five minutes later doing the same thing. Mulching can dramatically cut the time you spend mowing your lawn. But….what about the messy grass clippings? Good mulching mowers will not leave behind large clumps of grass. But if you find that you are still getting clumps, then you may need to mow more frequently. 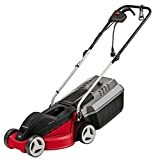 Ensuring the blades are kept sharp will also help the mower to cut each blade of grass into finer, almost powdered grassy goodness, preventing the big thick clippings that some old mowers shoot out. Oh, and of course it goes without saying that mowing in the wet will make for some nice big grass clumps.